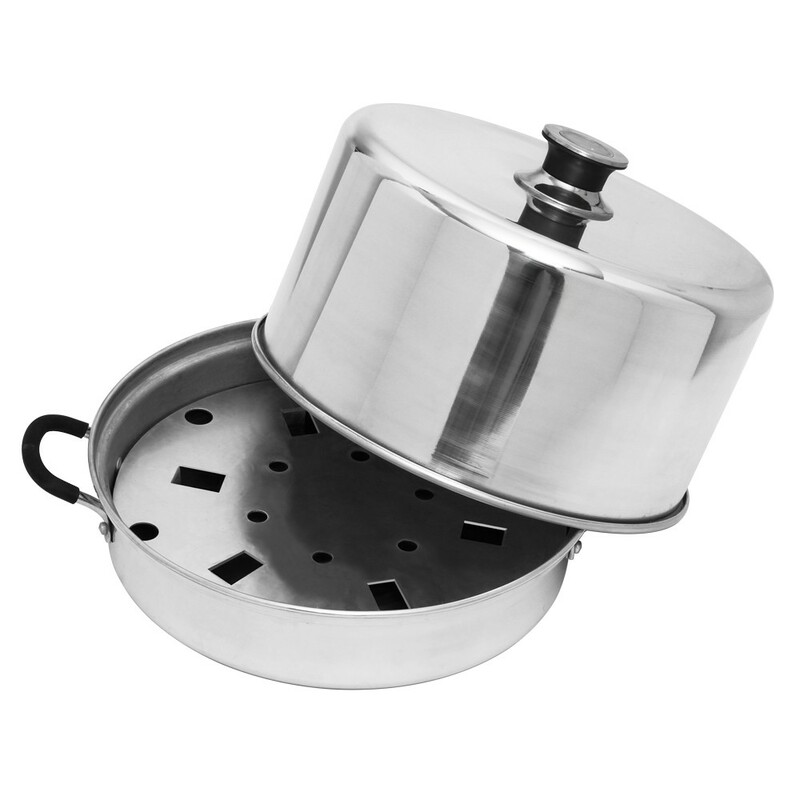 The Victorio Aluminum Steam Canner is an all-advanced Aluminum Canner. The Victorio Steam Canners facilitates savings of time, energy and water. 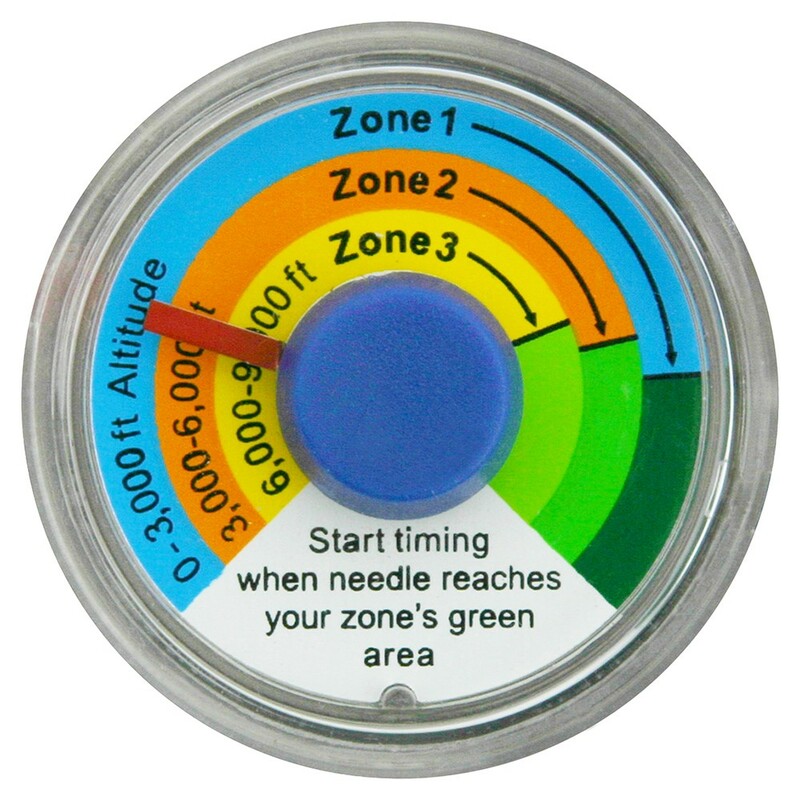 It utilizes just 3 points of water while decreasing preheating time effectively by 50%. Designed with aluminum, the Victorio Steam Canner boasts high durability. The Victorio Steam Canner is revolutionary canner that is designed efficiently to save time, energy and water. This all-new aluminum canner is highly effortless and simple to use, and uses just 3 points of water and decreases preheating time effectively by 50%. The ergonomically designed Victorio Steam Canners remove the hassle of heavy lifting, boil overs and messy clean ups proficiently. It features 7 quart capacity, and its cover converts to 15 quart kettle. Base and rack make ideal roaster. It is made of aluminum which gives it durability and ruggedness. 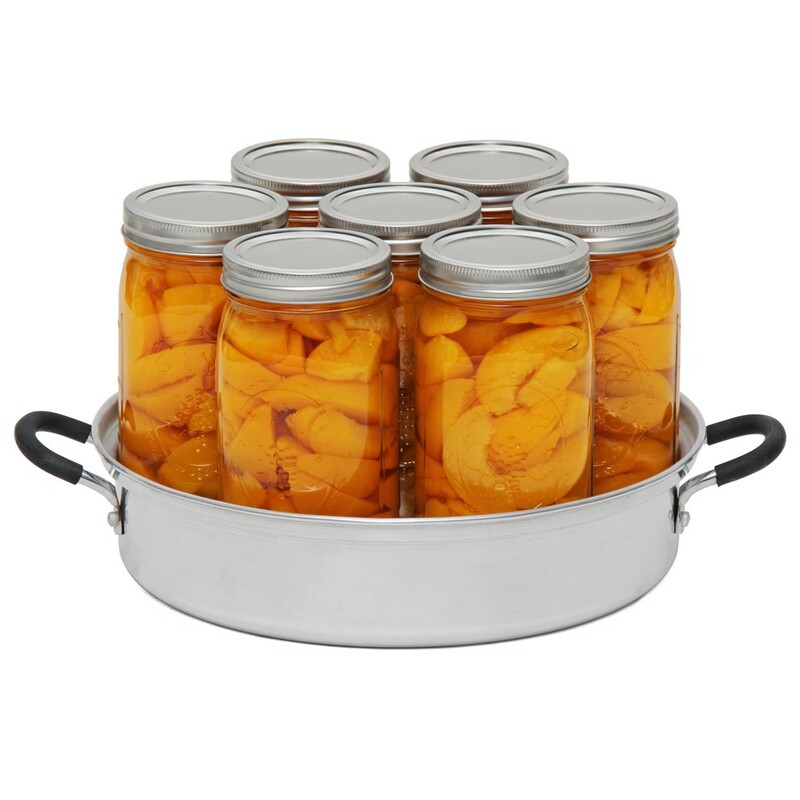 I love this canner!!! I wouldn't have any other kind after using it. Thank you so mujch! I am excited to use the steamer I purchased. I have used one before and loved the fact that it is so fast and easy. I processed 63 quarts of sauerkraut perfectly. I like the readout dial on top. I woreout three of the old back to basics canners. My son has this canner/steamer and loves it. it is so much faster and just as good as an old canner which takes 3 times as long. I bought it for my daughter. I\'m sure she will love it too. Also the price was very good. 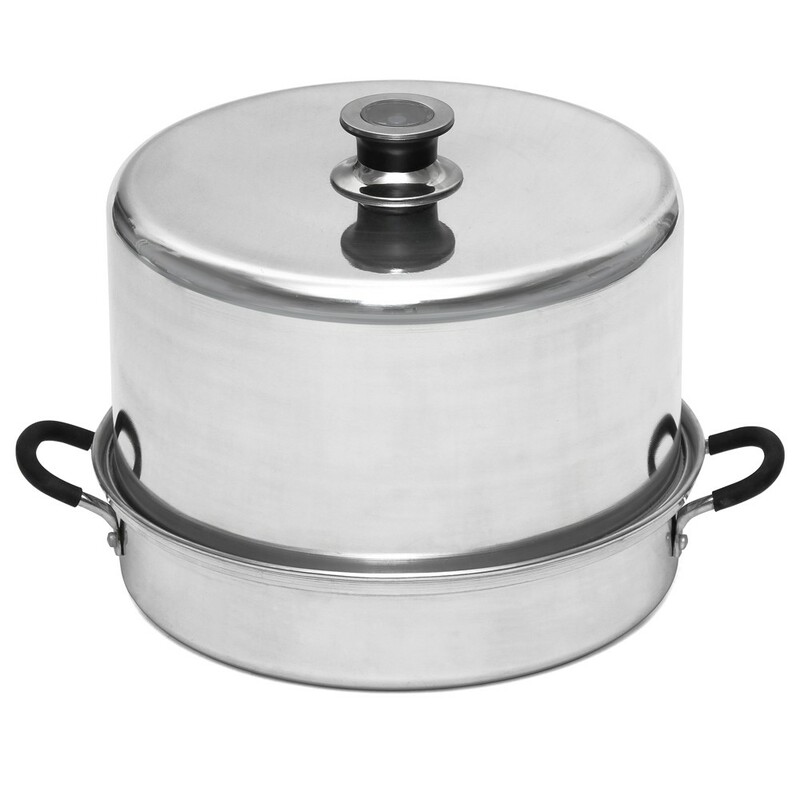 This is a very sturdy, well-made steam canner, definitely an upgrade from my aluminum canner from the '70's. The gauge on top is helpful. This is so much easier than lugging the heavy water pots back and forth. Much cooler too than waiting for a huge pot of water to boil - which takes a very long time! I love my new canner. 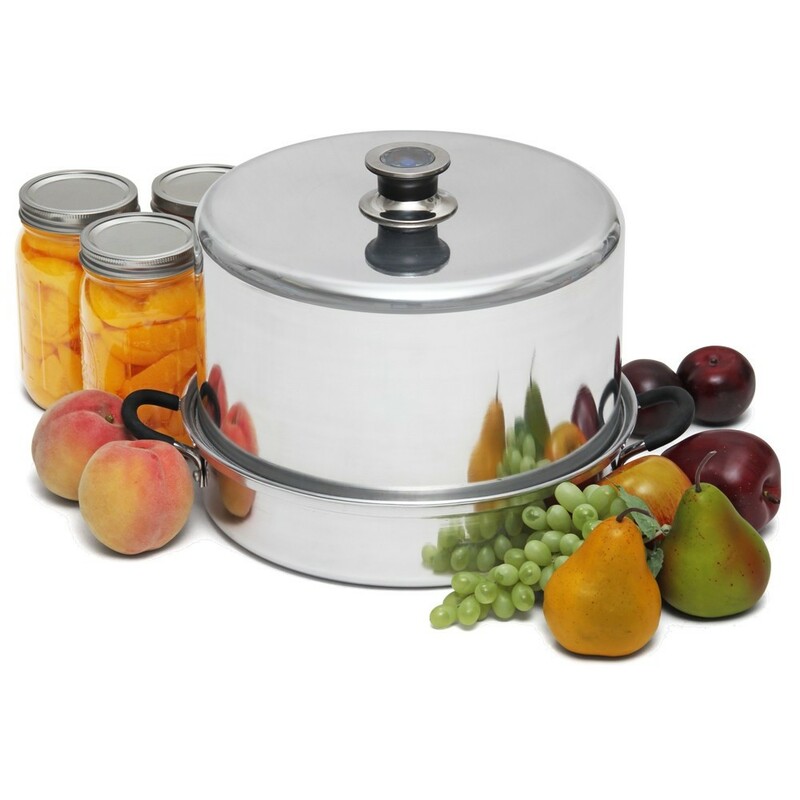 Not having to fill a huge pot with gallons if water and then lifting it onto the stove makes canning do much easier and faster. My new sream canner is everything it was promised to be. Harvest Essentials had my canner to me the day after I ordered it. There was a question regarding my account and they promptly called me so we could verify the formation. Fast and and friendly service with a superior product guarantees my repeat business. great product, great price. Outstanding service with the business!